At UKMedix we offer authentic prescription medication only from pharmaceutical brands of repute whose medication is trusted globally. We only offer prescription medicine with a documented history of successful treatment of particular conditions. As a result we are offering genuine Valtrex from GlaxoSmithkline and not ineffective generics, including providing the medical help and advice you need throughout your treatment process. Our professional medical team will ask you all the needed questions through our consultation form online to help you effectively deal with viral infections that Valtrex deals with. In the process the doctors will understand your condition better and offer you the best prescription medication you need. Don't forget the UKMedix team of physicians is on standby ready to offer you the advice and help you need without any charge or obligation. Valtrex is an antiviral medication indicated for the treatment of diverse infections brought about by different viruses. It's the brand name for the drug valacyclovir. It's mostly prescribed by doctors for herpes zoster (shingles), cold sores within the entire mouth as well as reducing the wrath of genital herpes. Valtrex is indicated for the treatment of cold sores in children over 12 years of age and chicken pox among children above two years of age. Note that Valtrex doesn't cure herpes, though it helps lessen the symptoms; it stops the spread and growth of the virus. As a result, the immune system of the body is boosted to be able to deal with the infection better as well as reducing the level of outbreaks. Off-label Valtrex is also prescribed for the treatment of cytomegalovirus, a viral infection and a huge problem for those who’re pregnant as well as individuals with weak immune systems. It comes after a difficult health period such as organ transplant. While it's important to discus your pregnancy with a physician before you begin the intake of any medication, Valtrex has not been found to harm a foetus. Nonetheless, Herpes is usually passed on to the baby if the mother is infected and has genital lesions mostly during delivery. 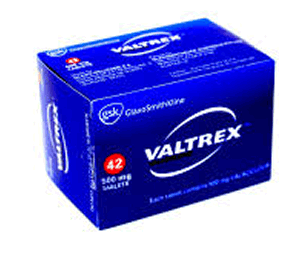 Valtrex does pass from the mother into the breast milk where it can harm a breastfeeding baby. In case you have every intention of breastfeeding after a pregnancy you might want to talk to UKMedix medical professionals or your doctor first. As an antiviral medication, Valtrex has been found to inactivate zoster or varicella vaccine prior to the body developing the intended immunity, making the immunization useless. Let the doctor know so that vaccines can be given after Valtrex treatment has been cleared out of your body. NSAIDs (Non-steroidal anti-inflammatory drugs) such as naproxen or ibuprofen might interact with the medication. At the same time, taking Zovirax and Valtrex at the same time is not wise considering the two drugs are very similar. You can also stop the intake of cimetidine or Probenecid since they lower the ability of the kidney to remove Valtrex from the body resulting in high concentrations of the antiviral medication in the bloodstream that could bring a range of side effects. Avoid taking alcohol; Valtrex can make you a little dizzy and the alcohol will worsen it. Above all let UKMedix doctors or your physician know about any medication, prescribed or not, including over-the-counter drugs, herbal remedies, recreational medication, dietary and nutritional supplements among other treatments and medicines you're currently using. Valtrex is an oral medication swallowed wholly with clean drinking water and should be taken at the same time every day for the duration indicated by the doctor. It's usually available in 250mg, 500mg and 1g oral tablets. Valtrex is considered hugely effective if used immediately the first signs of an outbreak are found. If treatment is delayed the effectiveness of the medication could be affected. It's best indicated for chickenpox or shingles once some rashes are seen. Those who've genital herpes or cold sores are usually given the drug once the first signs have been discovered or when a person feels like itching, tingling or burning. Should You Buy Valtrex Online? As you search for an antiviral medication such as Valtrex it's usually hard to know what's happening to you or how to explain the medical problem you have confidentially. UKMedix makes this easy by offering an online platform for free, allowing you to access the widespread experience and knowledge of diverse professional doctors without any need of talking to them face to face. As you purchase Valtrex or any other medication online we request strongly that you buy from an approved and regulated site offering authentic medical prescription drugs. Ensure the site has doctors who professionally endorse the prescription needed to treat the condition. You might want to identify a site online that's safe and regulated to buy Valtrex from to be sure the medication is safe for human usage. Look for official government certification such as the MHRA.gov.uk badge on UKMedix website that links to the government site where you can see the certified information of UKMedix. In case this approval information is not provided on any website selling drugs, you might want to avoid the prescription medication being provided to you. The site is probably illegal and the medication might be dangerous if consumed. What Side Effects Does Valtrex Have? Like many other antiviral medications Valtrex does have side effects but it doesn't mean every user has to get them. 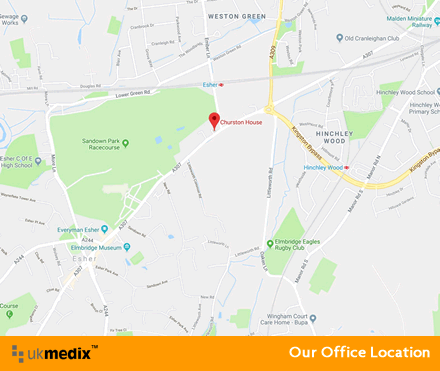 UKMedix understands that when it comes to finding suitable treatment for a specific medical condition it's not always easy to find relevant and correct information on the internet or out there. By talking to our doctors directly all the queries you might have will be responded to effectively. 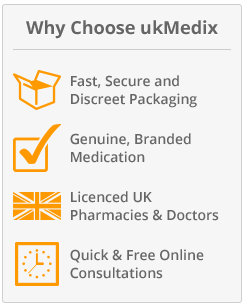 Note that UKMedix team of doctors don't obligate you to purchase the medication just because you spoke with them. The advice and help you receive isn’t just wholly confidential but free of charge.